France emerged victorious in an interesting match against Belgium, where a 1-0 scoreline was the difference between the European giants. 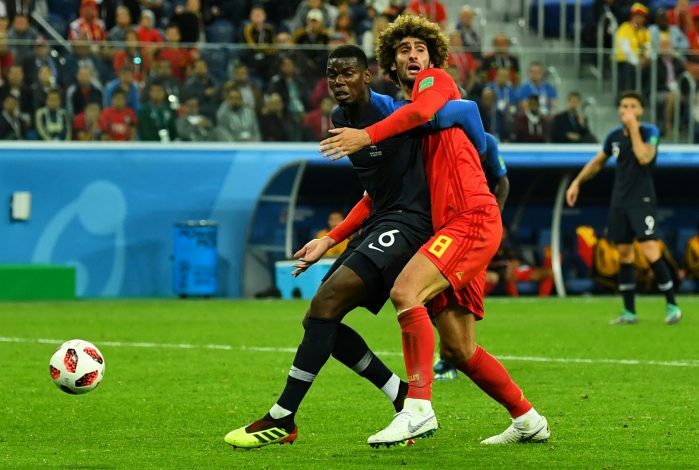 One of the two spots for the World Cup final was booked by the Frenchmen courtesy of a well-found Samuel Umtiti header, but it wasn’t at all reflective of the manner in which Belgium dominated the game. However, the final score was what mattered at the end, and much praise was showered upon the lads from France. One source of laurels, in particular, came through Jose Mourinho, who had positive things to say about Paul Pogba. At the end of the day, the Portuguese gaffer too agreed with the unfairness of the outcome, and revealed how he had seen this coming: “In the end I think the result was 1-0 but it could be 0-0 or it could be 1-1 and we could have been waiting for extra time. All that Manchester United fans will now be hoping for is that Mourinho has been taking notes, and will apply the same to his lads when the Red Devils return to action next season.